The Tokyo District Court on March 5 granted bail to Carlos Ghosn, the former chairman of Nissan Motor Co. who has been detained since Nov. 19. Prosecutors are expected to appeal the decision by the court, which set the bail at 1 billion yen ($8.9 million). 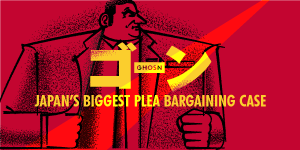 It was the third request for Ghosn’s release on bail from the Tokyo Detention House and the first under a new team of defense lawyers. Ghosn, 64, has vehemently denied the charges against him of aggravated breach of trust and under-reporting his annual remuneration as Nissan chairman. It is highly unusual in Japan for courts to grant bail to suspects who continue to maintain their innocence. After prosecutors indicted Ghosn on Jan. 11, his lawyers submitted the first bail request with conditions that would have allowed him to reside in France. But the district court rejected that request, apparently over concerns the suspect could destroy evidence or refuse to return to Japan. The second request, submitted on Jan. 18, changed the conditions for Ghosn’s release and said he would remain in Japan. That request was also turned down. Motonari Otsuru, a former top prosecutor, served as lead defense lawyer from immediately after Ghosn’s first arrest in November, but he resigned on Feb. 13. Junichiro Hironaka, another well-known lawyer, became part of Ghosn’s new team that submitted the third bail request on Feb 28. According to the indictments against Ghosn, he is suspected of ordering the transfer of a total of $14.7 million (about 1.3 billion yen) from a Nissan subsidiary to a Saudi entrepreneur between June 2009 and March 2012. The entrepreneur had cooperated in Nissan’s shouldering of Ghosn's investment losses of about 1.85 billion yen in October 2008. Ghosn is also charged with under-reporting about 9.1 billion yen in remuneration between fiscal 2010 and 2017.